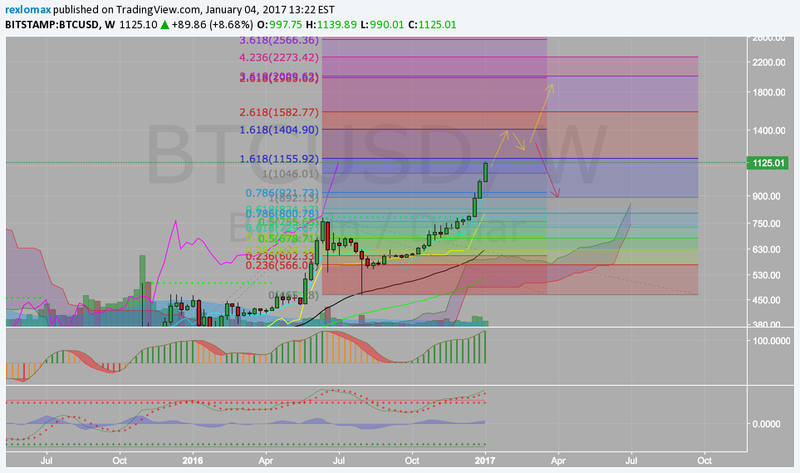 It has broken all time high and new targets are as follow according to Fib Extensions. that should drive the buying. This is now dumping to 750s real hard. 交易結束：目標達成: This chart was real good. Almost perfect. Now looking to re-buy way lower..
評論: 1989 could be the top on bitstamp. 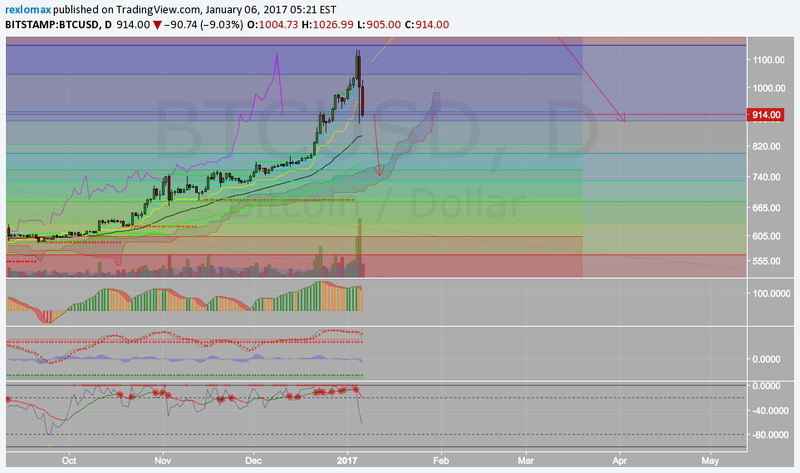 If it does retrace here, then 1400$ is expected at least. Bitcoin uptrend might be about to end. yep pretty great chart! what area are you looking to buy back? @TheOwl, anything below 1000$ will be lovely. HAHA FAIL! it's a shame i wasn't able to above 1100 as i wanted.